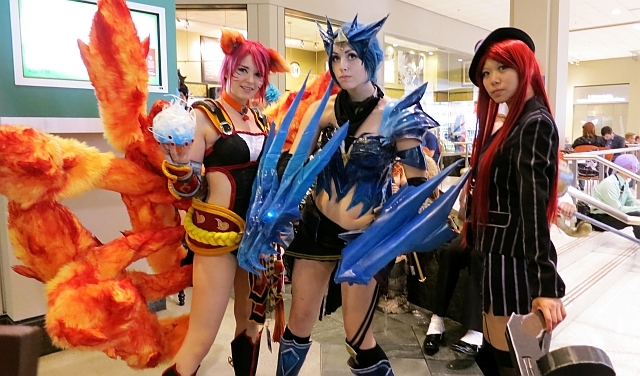 Check out some of the great cosplay we saw during our second day at PAX 2013! If you have ever been to a weekend convention, you'd know that Saturday is when the event really begins to ramp up, and PAX is no exception! With it comes a new level of cosplayer turn out with an endless amount of amazing props and costumes waiting to be discovered around every corner. Here are some of my personal favorites we saw while traversing the PAX floor on Saturday for Day 2 of PAX Prime 2013. Tell us which ones are your favorites! And don't forget to check out our Day 1 PAX cosplay gallery if you missed it.